"There is nothing more absurd, I think, than to have five or six different prints for the blind..." wrote Helen Keller. She would help change that. English Braille primer. Courtesy of Perkins School for the Blind Archives. Helen Keller was born in 1880, just over 50 years after Louis Braille published his eponymous writing system. 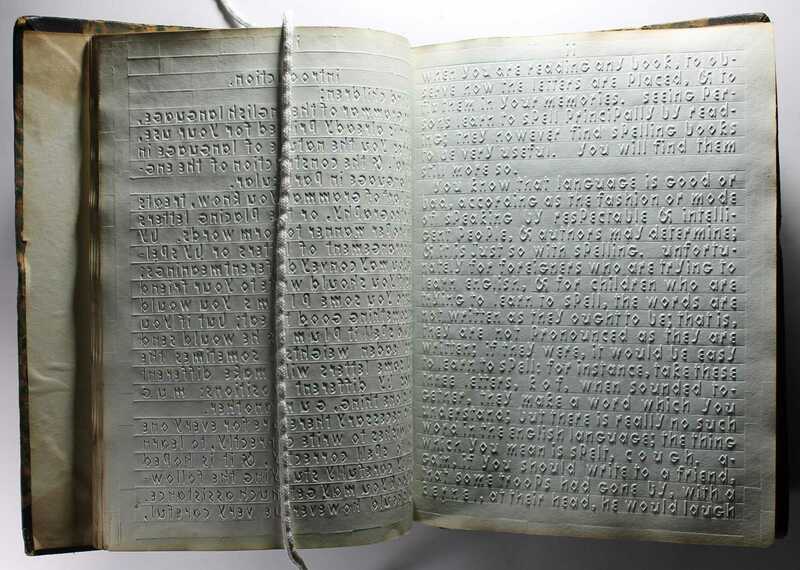 Braille, who was three when an accident in his father’s workshop left him blind, had been frustrated by the reading system available to him at the Royal Institute for Blind Youth in Paris: embossed Latin letters. Tracing the text was a slow process, and the books were so huge and expensive to produce that few existed. Moreover, the system did not offer a realistic way for a blind person to write. 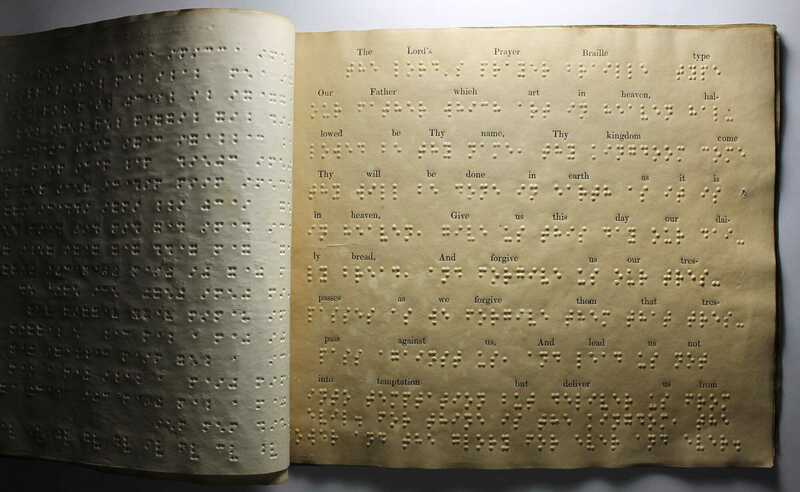 Braille understood that the blind needed access to the same information as everyone else if they were to be treated equally. Determined to facilitate that transfer of knowledge, he began working on his own system, inspired by a code of dots and dashes created for soldiers by a French Army captain. Braille was just 15 when he completed his alphabet of raised dots, produced using a slate and stylus. His invention was met with praise from some corners, and consternation from others. 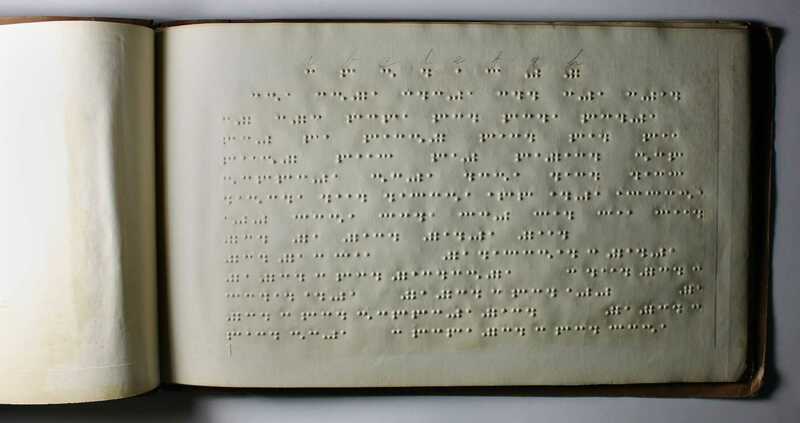 At one point, school administrators confiscated Braille’s writings and burned them; they wanted their students to use raised lettering because the teachers couldn’t read Braille’s dots. Boston Line Type spelling book. Courtesy of Perkins School for the Blind Archives. “She used four or five systems pretty regularly,” says Jennifer Arnott, research librarian at Perkins School for the Blind. Those included American Braille, English Braille, another dot system called New York Point, and Boston Line Type, an embossed Roman alphabet. Keller’s frustration at having to know all of them was compounded by how few books were available in any of the codes to begin with. But Keller persevered. When the material she wanted to read wasn’t available in an accessible form, people read to her, spelling into her hand. Though it took months to transcribe a volume of her schoolwork, Keller became the first deaf-blind person to earn a Bachelor of Arts degree, graduating from Radcliffe College in 1904. Fourteen years later, in 1918, braille was standardized in the United States, thanks in part to Keller’s advocacy. Another cause she championed, a national library program for the blind, was created in 1931. A small sample of Keller’s personal library that she donated to Perkins between 1909 and 1915 includes works in a variety of languages, and makes for an impressive reading list by anyone’s standards. New York Point System primer. Courtesy of Perkins School for the Blind Archives. Read about Helen Keller's favorite books. 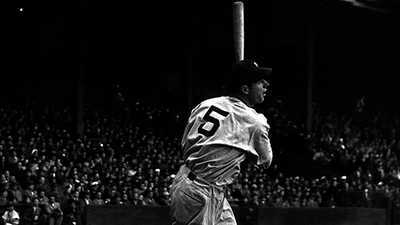 A timeline of Joe DiMaggio's life. 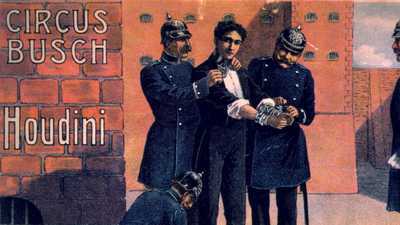 The following posters, advertising Houdini's performances and various tricks, have been collected by magicians, friends, and fans of Houdini. Each colorful ad displays a different stage of his career, from the early days of performing in the circus to his spiritualism exposés. 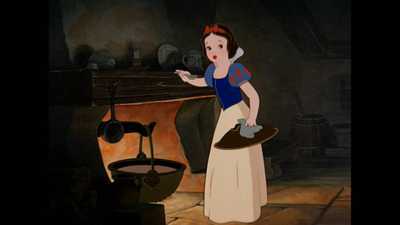 Art Historian Carmenita Higginbotham explains Snow White as a reflection of American women during the Great Depression.